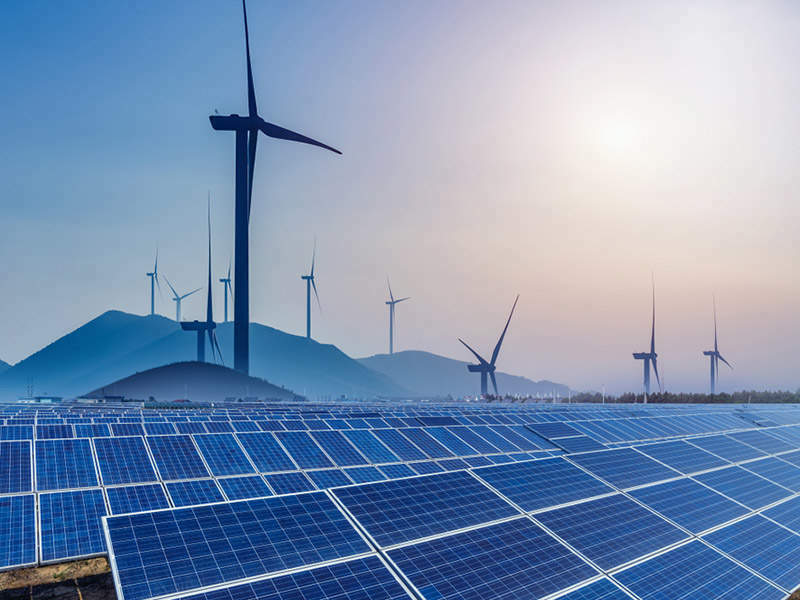 Dubai Electricity and Water Authority (DEWA) and Abu Dubai Future Energy Company (Masdar) have signed a power purchase agreement (PPA) for the 800MW third phase of the Mohammed bin Rashid Al Maktoum Solar Park. DEWA announced earlier this year that the Masdar-led consortium has been selected as bidder for the third phase of the solar park. DEWA managing director and CEO Saeed Mohammed Al Tayer said: “We are pleased to sign the Power Purchase Agreement with Abu Dubai Future Energy Company to produce 800MW based on the Independent Power Producer model for the third phase of the Mohammed bin Rashid Al Maktoum Solar Park, which is the largest single-site solar park in the world, with a planned capacity of 5,000MW by 2030. The second phase of the Mohammed bin Rashid Al Maktoum Solar Park was launched in November last year. 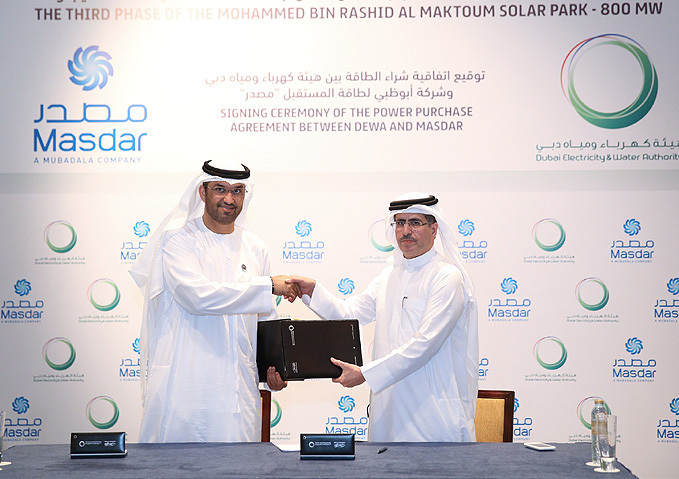 In June this year, a memorandum of understanding (MoU) was signed with the Masdar-led consortium to implement the third phase of the solar park based on the IPP model. The 800MW third phase is expected to become operational in 2020. Masdar CEO Mohamed Jameel Al Ramahi said: “Today’s signing continues the strong momentum created at the outset of the project thanks to DEWA’s efficient tender process. The solar park was launched at Seih Al Dahal in early 2012 following which the first phase was completed the next year. Currently it is producing 13MW. Image: Signing ceremony of the power purchase agreement. Photo: © 2016 Dubai Electricity and Water Authority.